Onglyza (saxagliptin) is a diabetes drug sold by AstraZeneca and Bristol-Myers Squibb, and commonly prescribed with diet and exercise to help control high blood sugar in adults with Type 2 diabetes. Onglyza was approved by the U.S. Food and Drug Administration (FDA) in 2009, and in 2014 alone, the medication brought in $820 million in sales for AstraZeneca and Bristol-Myers Squibb. 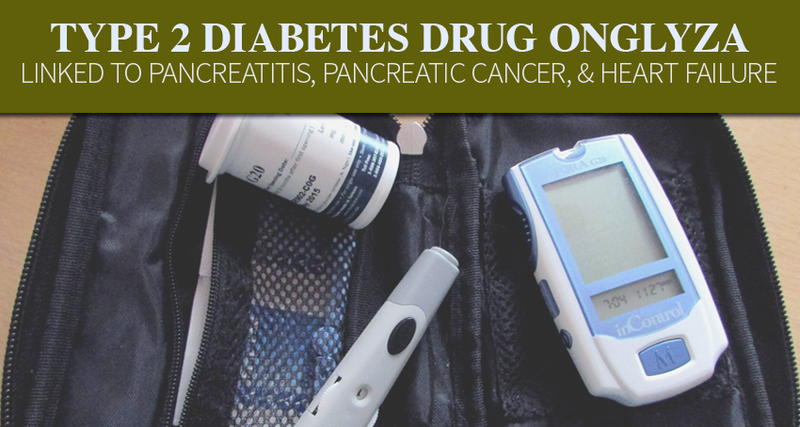 The diabetes medication belongs to a class of drugs called DPP-4 (dipeptidyl peptidase-4) inhibitors, which are designed to help the pancreas secrete more insulin and inhibit the liver from making excess sugar. It wasn’t until 2011 that information about the risk of pancreatitis was added to the Onglyza warning label, after the FDA received post-market reports of patients suffering acute pancreatitis after taking the diabetes medication. 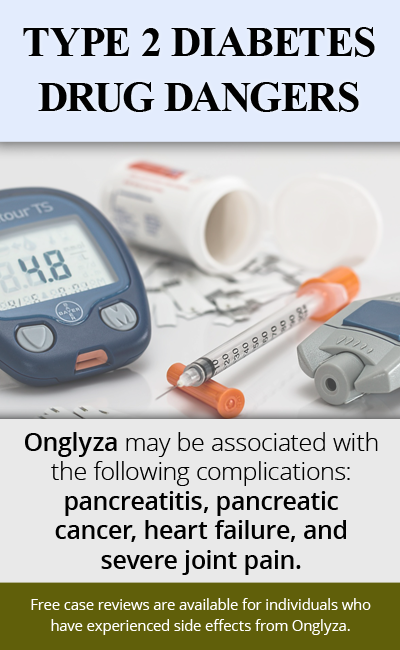 Unfortunately, during the two years that Onglyza was on the market before that FDA warning was issued, Type 2 diabetes patients continued taking the DPP-4 inhibitor, unaware of the potential for the prescription drug to cause pancreatitis, a serious condition characterized by inflammation of the pancreas that can lead to hospitalization, pancreatic cancer and death. In one study published in 2013, researchers found pre-cancerous cells in the autopsied pancreases of individuals taking incretin-based medications like Onglyza, and indicated that the use of DPP-4 inhibitors may be linked to the production of abnormal beta cells in the pancreas, as well as the development of small, benign tumors called adenomas that can become malignant. In another 2013 study, researchers found a possible connection between Onglyza treatment and an increased risk of heart failure, occurring when the heart pumps blood at a slower-than-normal rate, depriving the body of the oxygen it needs to survive. Hundreds of lawsuits have already been brought against the makers of Type 2 diabetes drugs like Onglyza, in connection with pancreatitis, pancreatic cancer, heart failure and other side effects, and more complaints are expected to be brought in the future, as more and more consumers become aware of the potential for Onglyza to cause devastating complications in users. If you have suffered pancreatitis, pancreatic cancer or another major medical complication, and you believe Onglyza to be the cause contact the Monroe Law Group today. Alert: Due to statute of limitations, the time you have to pursue a claim is limited. Call us right away at 877-459-8260, email us at intake@monroelawgroup.com, or complete the form on this page now.